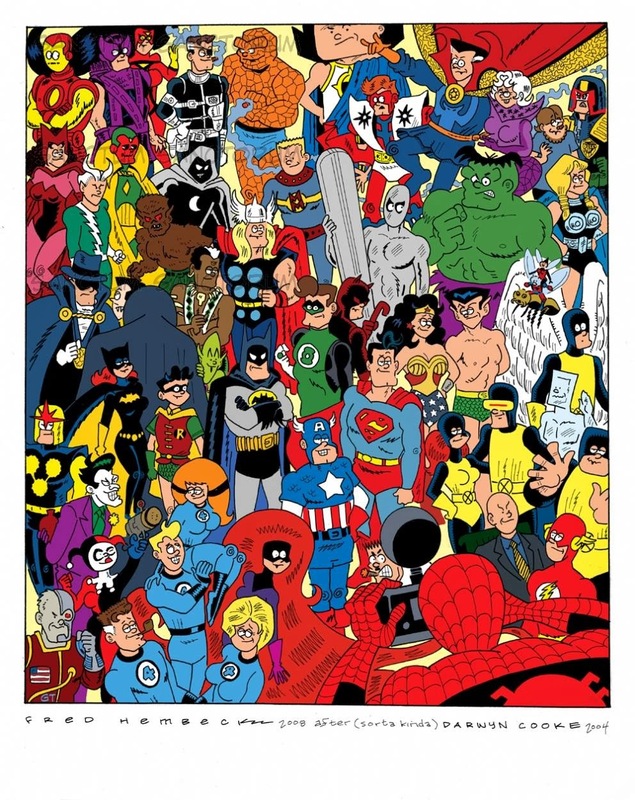 Marvel Comics of the 1980s: Happy Birthday Fred Hembeck! I love Hembeck! Nuff Said! Love Hembeck. Such a riot and yet such affection. Love his cartoon in Marvel Age Annual #2. I've been a fan since I first saw those little strips in the back of DC comics when I was a kid. He's still one of my favorites. In fact, I just recently got a sketch of Blue Beetle (Ted Kord) from him at the Albany Comicon.